To customize this template after signing up, choose ‘Brand Awareness Survey Template’ as example when creating a new survey. Avoid commercial messages. The purpose of a brand recognition survey is to gain information from the responder, not convert them into a customer. Incorporating commercial messages can skew your results and harm the validity of your data. Use a combination of questions types. When it comes to brand awareness surveys, you want both quantity and quality of data. This requires asking different kinds of questions. Prevent survey bias. So be careful to avoid leading questions, which may push respondents to answer the way you want them to, but results in inaccurate responses. Remember, brand recognition surveys are about research, not direct sales. Focus on strong visuals to promote content and products. This is especially effective in today’s world because we spend so much of our time on visual platforms such as Instagram, Facebook, and other Youtubes. Use a fitting incentive. Without a doubt, you see contests passing by on a daily basis, whether it’s on social media, email or just a flyer on the street. Do you know why? Because they work. Contests are a great incentive to get engagement from your (potential) customers and companies big and small. Add an emotional touch. Adding an emotional image or story can greatly increase customer engagement and brand loyalty. Coca-Cola, WWF and McDonalds make great use of this strategy. Why use Survey Anyplace as a Brand Awareness Measurement Tool? Keep respondents engaged by asking only one question at a time. Just like a real conversation. Our surveys can be taken online, offline and with any device. That means convenience, higher response rates and better data. Instant results allow you to quickly analyze the data you’ve collected and move on to your next step. Powerful hosting service along with flexible software means creating a survey for 1,000 respondents is as easy as creating one for 10. Gain insights into what your audience is thinking with honest and prompt responses. All the survey responses in the world aren’t much use if they aren’t honest or accurate. Using a survey tool avoids the classic problem of people not being fully truthful when answering questions face-to-face. Calculate ROI over time to better allocate resources. Your strategies may be working well, but if they’re doing so at too high a cost, you still need to re-evaluate. Using surveys to calculate the effectiveness and performance of your activities translates into smarter and more efficient marketing. Spot trends and opportunities by easily comparing data. Sometimes the best opportunities are right under your nose. Perhaps your customers have begun associating your brand with something like safety, or perhaps even a factor you hadn’t considered. Spotting that association means you can jump on the opportunity. Spot the difference between theory and reality when it comes to customer perceptions of your brand. You may think you’re building a particular type of brand awareness, but knowing when you’re wrong is important. Use surveys to get to your audience’s genuine feelings about your brand. Brand Recall. Can your audience remember your brand and information about it from memory? This can be measured with cold questions asking your audience to think about brands associated with your industry, product or service. Brand Recognition. Does your audience recognize your brand when they see it? This can be your specific product or your company’s logo. Brand Identity. What does your audience think about your brand’s logo and other visual elements? What associations and emotions do they convey? This is harder to measure as it incorporates many aspects of a single brand, but understanding how your audience feels about those elements together is important for crafting a great overall brand identity. Brand Image. When your brand identity is distilled into its most basic form, what is the general impression your brand creates for your audience? Usually, open-ended questions prompting members of your audience to write down associated words work best here. Brand Trust. Is your brand considered trustworthy? This is particularly important to measure and understand in case a crisis arises and brand trust needs to be rebuilt, so it’s vital to establish a baseline. Brand Loyalty. Does your brand inspire loyalty? Does it help retain customers by being memorable and evoking positive emotions? While loyalty numbers can be established with consumer data, understanding what features of a brand inspire that loyalty requires targeted survey questions. This questionnaire will help you answer questions like: “Do people name your brand when you ask them about a specific product or service category?” and “Where have people seen your advertisements?”. It is also important that when writing a text-choice question, you do not force the person to choose one of your pre-set answers. So be sure to include an “other: please specify” option. This way you will alos likely gain new insights into how your customers really feel. 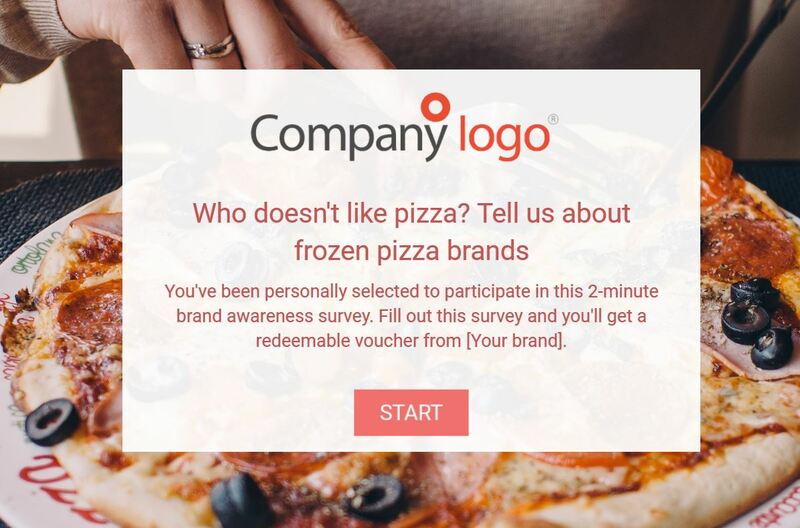 To use this sample Brand Awareness Template, sign up for Survey Anyplace , and choose ‘Brand Awareness’ as a template when creating a new survey. Measure your brand awareness and build your business with our brand awareness survey tool.